I have written up other Japanese whiskies that at a passing glance reminded me of American Bourbon. Iwai Tradition, with its heavy caramel and baking spices, is the gateway to Japanese Whisky for fans of American Bourbon. Seriously. 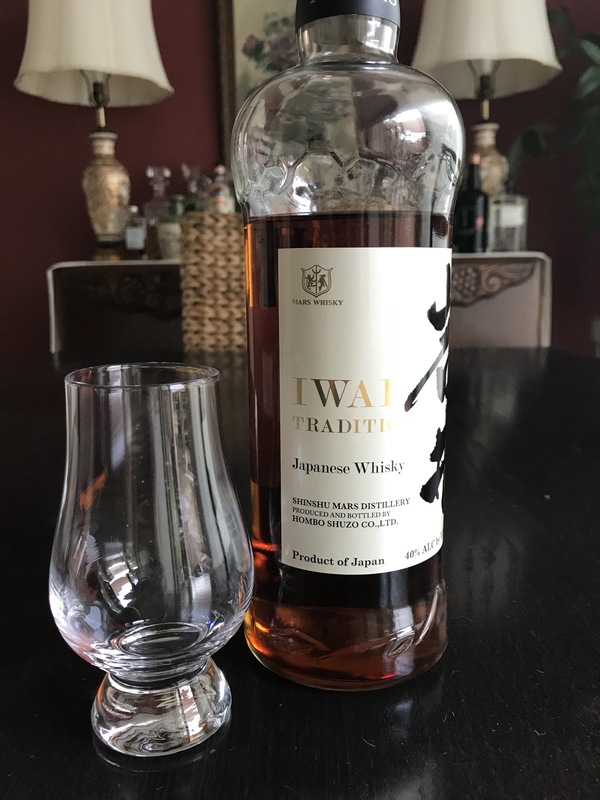 If you like Bourbon, you’ll like Iwai Tradition. Let’s talk scent. First up, none of those crazy/complex notes that I’ve come to expect from Japanese whisky. Loads of caramel or brown sugar, a nice hit of vanilla, then gingerbread cake: ginger, cloves, and allspice. All wonderful things to have wafting out of your Glencairn glass. Now, the taste. With 80 proof, no real whisky burn and no astrigincy at all. The flavors match up with the scent almost exactly; heavy caramel, vanilla, ginger, cloves, allspice, toasted almond (nice barrel notes), and a touch of wildflower honey. The barrel notes are what really kicks Iwai Tradition into Bourbon territory. I don’t know Mars really wanted their Japanese Whisky to so completely remind me of Bourbon, but it sure does. They could give lessons to newer U.S. distilleries in how to make an excellent American whiskey. The finish. Clearly, some peat was used in the process as there’s a touch of smoke to an otherwise honeyed finish. And it’s a long & warm, smokey & honeyed finish. Nearly Scotch-like, but also very Tennessee.